Getting the deal done should not be the primary objective of a real estate licensee who represents a buyer and/or a seller. The primary objective should be getting the deal right even if it means advising the client to walk away. Licensees are given a difficult task. They need to make a living yet need to protect their clients even if it means no deal at all. How do real estate agents manage to function? The majority take the high road and work ethically and diligently to provide the best service for their clients. Others just want to 'make the sale' without looking out for their clients' best interests. The very nature of commission-based-compensation lends itself to unethical and/or unlawful conduct. For example, an agent spends hours helping a buyer-client purchase a property and just before the transfer of ownership is about to take place the agent learns from a colleague that the house is situated in a never before reported slide area. What actions should this licensee take? Of course, as a fiduciary, that is, the person who is looking out for the best interest of his or her client, the agent should immediately disclose this new information to the client. Providing advice within their expertise as real estate licensees is a major component of the job. Buyers and sellers alike have a right to expect their agents, with whom they have a fiduciary relationship, to help them make informed decisions regarding the sale and/or purchase of real estate.What does this mean in the day-to-day practice of real estate? Let's return to the above scenario. Stop the escrow because there are new facts that have to be explored. Ask the lender to hold off while this is taking place. If this is not feasible, it is a moment of truth for the clients who have to make the difficult decision whether or not to continue with the transaction without knowing all the facts. Although the decision will be up to the clients; it is the licensee's job to provide them with as much information as possible so they may make the most informed decision under the circumstances. Suggest that the clients get more information from professionals, such as structural and soil engineers, regarding the land and house. Depending on the information obtained, the clients may then decide to cancel the deal or ask for a reduction in the price of the house. It is up to their agent to point out these choices so clients can make informed decisions. It is not up to the agent to tell them that it is 'no big deal' and all the properties in that area will still continue to increase in value even with the knowledge of the landslide. When Ed and Linda decide to buy a house they are so happy to be working with Karen, a salesperson who leaves no stone unturned in helping them uncover the material facts about the property. Several years later during a frenetic seller's market, Ed and Linda decide to sell their house. They do not call Karen to list the property and they never mention the above-stated facts in their disclosures to potential buyers or the Agent who lists the property. Several agents plan to write up offers. Agent Dan advises his clients that if they really want to be competitive in a multiple offer situation they should not include an inspection or any other contingency in their offer. The agent never discusses the pros and cons of doing this. The Buyers follow Dan's advice and submit a 'clean offer'. It is accepted and they are none the wiser regarding the property they are purchasing. At the end of a particularly long rainy season the following year, large cracks begin to appear on the walls throughout the house. Additionally, some of the doors no longer close as easily as they once did. After having their home inspected by a home inspector who recommends further inspections by a structural engineer, the previously undisclosed facts begin to emerge. The Sellers and Dan, the Buyers' Agent, are subsequently sued by the Buyers. A career as a successful real estate professional is a long term proposition. It consists of developing and nurturing trusting relationships with buyers, sellers, affiliates and other licensees. Referrals, the lifeblood of the industry, comes to those who demonstrate that they will do whatever it takes ethically and legally to look out for the best interests of their clients. Real estate brokers and salespersons should expect to be ethically and legally challenged in their day-to-day practice and should be ready to deal with it. 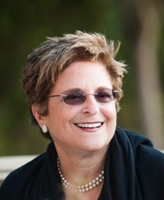 Lois Kadosh is a real estate educator, broker and expert witness in California. In addition to working as a consultant and expert witness for attorneys, she is available for presentations and workshops for attorneys, real estate licensees and consumers. For additional information: www.RealEstateEthics.com.